In Brandkit, when you add multiple videos to your basket for download, you always get a smaller web version of the video file (typically in 720p HD format 1280px x 720px .mp4 file). So how do you download the larger, original size video file (e.g. an 8gb Quicktime video) provided one was uploaded? Simply download a single video asset (one at a time) instead of multiple assets. 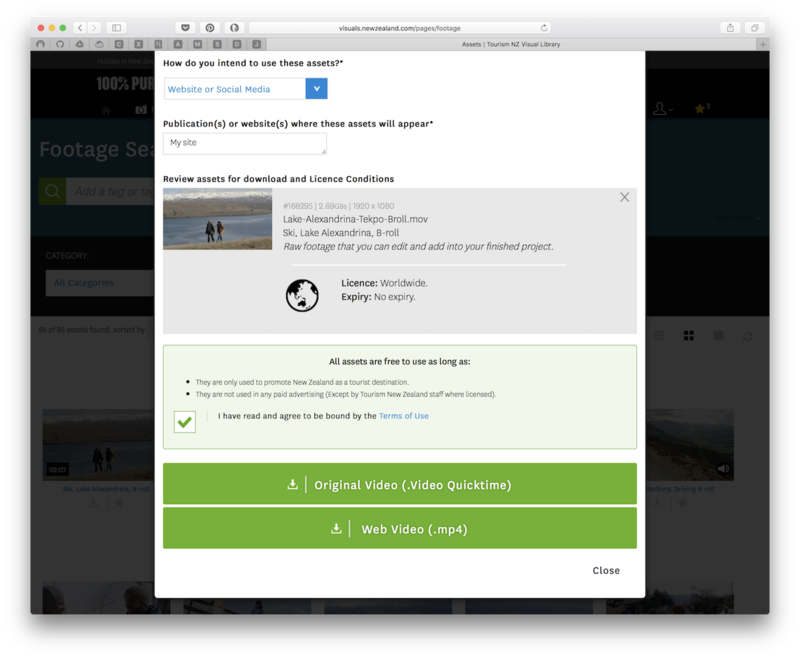 Rather than selecting several video's to add to your basket, either click the download icon in the search results grid, or from an asset detail page. * Not supported in some browsers.